32Click the green "i" icon for more information. Lime washedClick the green "i" icon for more information. European OakClick the green "i" icon for more information. Rebar + ResinClick the green "i" icon for more information. Green Oak Man offers solid oak floating shelves made to meusure. Real Oak and cut to any length you require these shelves are completely hand made here in the UK by quality craftsmen. We take care to produce each shelf from carefully selected timber. 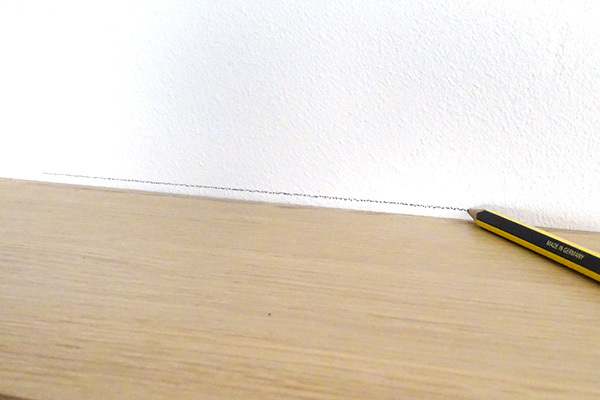 Our Oak floating shelves are available in European Prime Oak. Prime Oak: European Oak, it is a light brown colour and native to Europe. This is the highest quality Oak that you can buy and ensures your shelves have less than 15% sap wood with minimal knots which otherwise can leave rough blemishes on the shelf. French Oak: French Oak typically is more rustic in nature with a slightly undulating wider grain and commonly more knots. 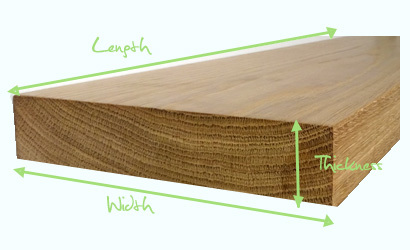 European Oak: Straighter and closer grain. Very few knots present. Each Shelf is sanded several times until the Oak begins to shine naturally. We then wax and polish the wood to your preferred finish. 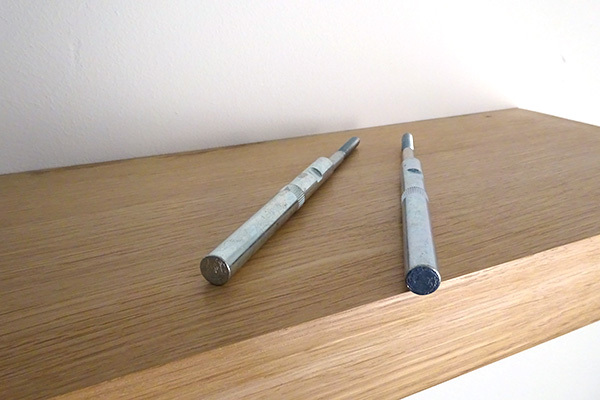 Floating shelves are incredibly easy to install - our brackets take care of inaccuracy when drilling holes into your wall. Shelves can support weights between 35kg – 50kg (including shelf weight but many factors determine weight supported including shelf size so we recommend consulting with a professional if you have any doubt or talk with us directly). 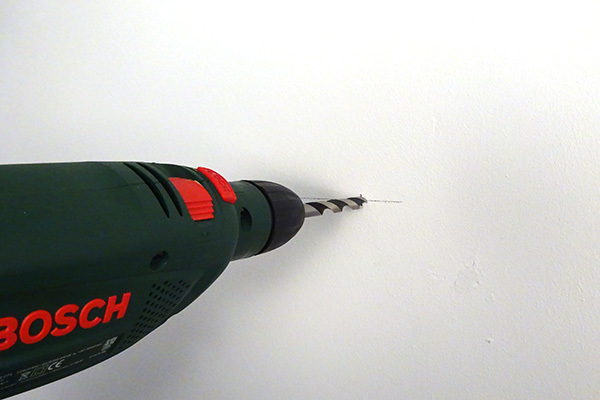 If you require custom positioned drill holes (for example if fitting to a stud partition wall) then please use the comments section at checkout when you order. All Floating Oak shelves can be bespoke made to measure and we try to meet your expectations as bespoke manufacturers of oak shelving. Each shelf is made from the highest quality European prime Oak which are first planed then sanded down to 180 grit on top and bottom. 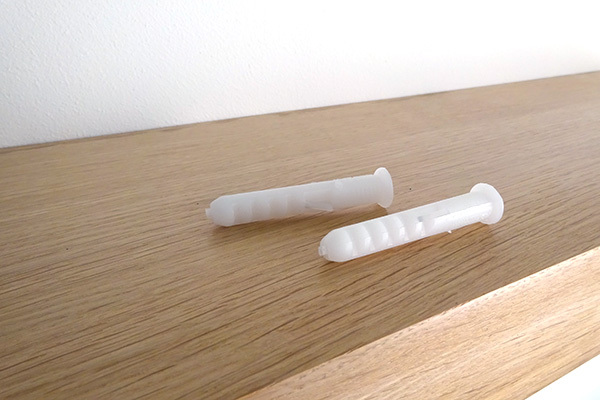 This provides an incredibly smooth finish to the shelf. 3 coats of wax or polish are then applied to each shelf which protects the oak and also gives a beautiful finish by bringing out the woods natural grain. American Oak is an alternative but has far less character than European - we have found most clients when they see European Oak will always opt for this choice of species. Unlike flimsy oak veneered floating shelves these are completely solid. We can accommodate any depth shelf but shelves over 200mm depth / width may be made using 2 full stave planks which increases the stability of shelves and prevents warping in central heating environments. All shelves are square edged but we can offer rounded or angled corners and edging details. 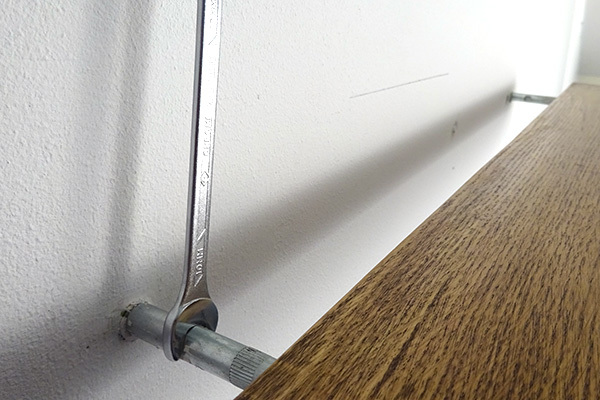 If you order a longer shelf (over 1800mm) or very deep shelf (250mm +) consider using more robust bracket solutions such as threaded bar and resin. Length: Plus or minus 2mm. Thickness : plus or minus 2mm. Floating shelves are all supplied with concealed floating brackets but we also offer oak corbels that look great above fireplaces or centered features..
£33.00000 Available from: Green Oak Man Condition: New In stock! Order now!